Virtual appliance image that will be imported into the hypervisor. Supported hypervisors: VMware ESXi (OVA file), Microsoft Hyper-V (VHDX file), Oracle VM VirtualBox (OVA file). Virtual CD (ISO file) containing the configuration settings for a particular ECDN server instance. 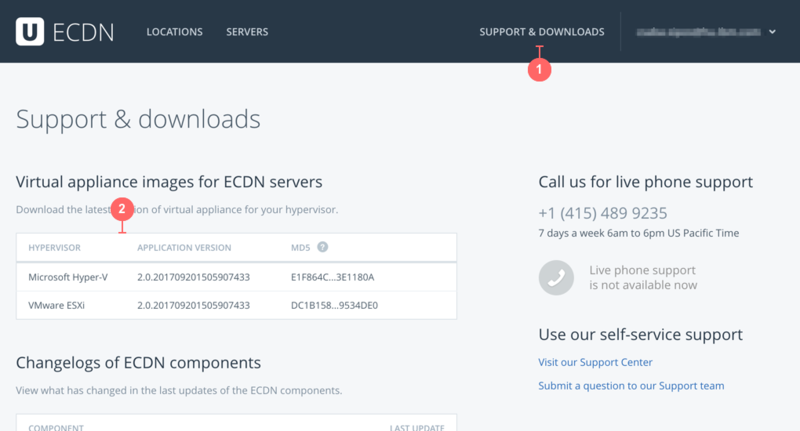 You can download the latest version of the virtual appliance image for your hypervisor on the Supports & downloads page of your ECDN Management Portal. The virtual CD (ISO file) with the configuration settings is unique to each ECDN server instance and is only available as a result of the configuration process. 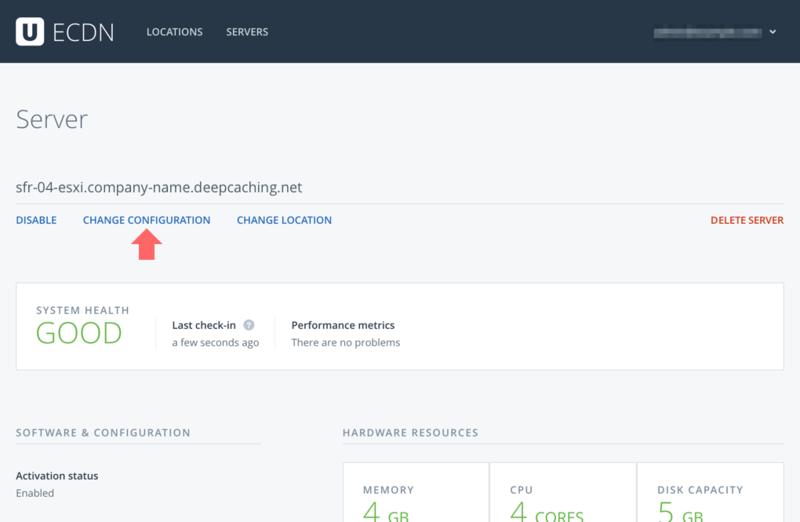 When you configure a new ECDN server or change the configuration of an existing one, you will be able to download the required files in the last step of the process. To access the virtual CD (ISO file) later, restart the configuration process by clicking the Change configuration link on the detailed view of the ECDN server. Note: You may complete the configuration and generate the virtual CD again without making any changes to the configuration.